This was the first time Air Niugini was audited on enhanced IOSA requirements. The IOSA program enables airlines including Air Niugini to review their safety processes using a worldwide standard that has become the single internationally-accepted safety and security audit process for airlines. Under IOSA, accredited Audit Organisation (AO) auditors assess Air Niugini’s operational management and control systems, including the areas of Corporate Organization and Management, Flight Operations, operational control, Flight Dispatch, Aircraft Engineering and Maintenance, Cabin Operations, Aircraft Ground Handling, Cargo Operations and Operational Security. 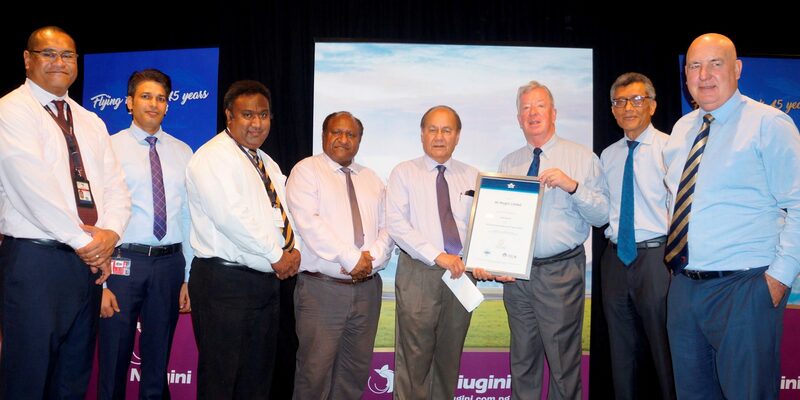 Air Niugini ’s Chief Executive Officer, Mr. Simon Foo said this achievement provides continued assurance that Air Niugini meets world class safety and security standards when measured against IATA’s global benchmark. The IATA Operational Safety Audit (IOSA) is an internationally-recognized and accepted auditing system for evaluating an airline’s operating procedures and management systems. The IOSA is based on proven quality management principles, and has been designed to enhance operating procedures and above all to standardize such audits, permitting their worldwide comparison and the common use of audit reports. The Audit on Air Niugini was conducted by an independent audit organization accredited from the International Air Transport Association (IATA) from July 3rd to 7th.